Recent studies have demonstrated the popularity of the iPad among physicians, and now a new report describes how one hospital found that Apple's tablet can pay for itself in just nine days of use. At a healthcare information technology event last year, one unnamed hospital's Chief Information Officer revealed that his organization saw a return on investment (ROI) on its iPad purchases in less than a week and a half, according to Forbes' Dan Munro. Munro, founder of iPatient and a frequent commentator on healthcare IT, reports that the time to full return on investment was so low that the CIO initially believed the hospital's board might not believe the figure. The CIO relating the story did so as part of a larger healthcare IT panel and wished to remain anonymous, according to Munro. Tasked with testing the effect of a pilot program in which iPads were deployed to a select group of healthcare workers, the CIO used time-motion analysis to track worker movements and clinical workflow. These results were then compared against the hospital's known labor costs, showing that the time and effort saved in the pilot program paid for the cost of the iPads in nine days. The figure, according to the report, was so low that it would have been compelling to the hospital's board even were it two or three times higher. The hospital has since rolled out iPads for staff use throughout the organization. Apple devices are remarkably popular among physicians and hospitals, with a recent survey finding more than two-thirds of physicians choosing the iPhone over Android smartphones. 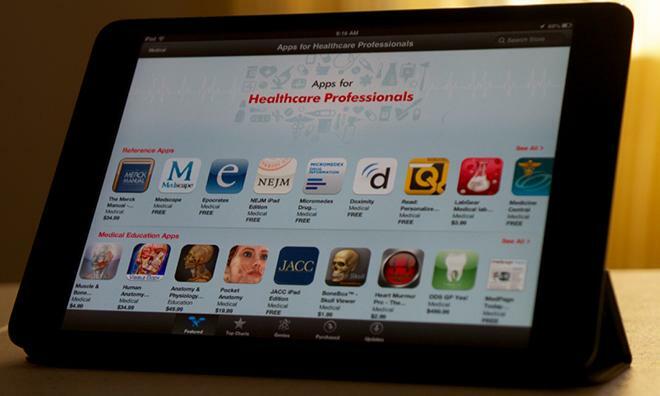 The iPad, according to the same survey, is the most popular tablet among healthcare professionals. Due to the passage of the Affordable Care Act, health organizations must soon integrate technologies like e-prescribing and electronic health records (EHRs) into their operations or risk losing access to certain funding. The popularity of the iPad is leading many EHR vendors to develop or consider iPad-native versions of their products in order to enable better mobile operation for their clients. Not all test runs with Apple's tablet have proved as successful as the one Munro describes. A 2011 pilot by Seattle Children's Hospital found each of the clinicians involved returning the device, saying it wouldn't fit into their everyday workflows. At the time, the physicians complained that the electronic medical record systems simply weren't configured to work smoothly on a touchscreen interface. The year prior, though, a number of Chicago-area hospitals reported that they had seen tremendous success integrating the iPad into their workflows. Apple has continually touted the iPad's usefulness in a healthcare setting, even writing up profiles of the device in use at Medtronic. The iTunes App Store currently has dozens of apps aimed at helping healthcare professionals with imaging, patient education, medical education, and reference.